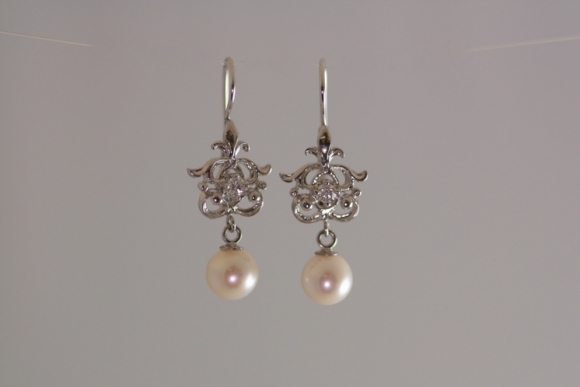 14K white gold scrolling filigree set with one round diamond and 6.8mm cultured pearls. The earrings are secured by French wire backs. They drop 1 1/4".